Can I get Pulmicort without a prescription? 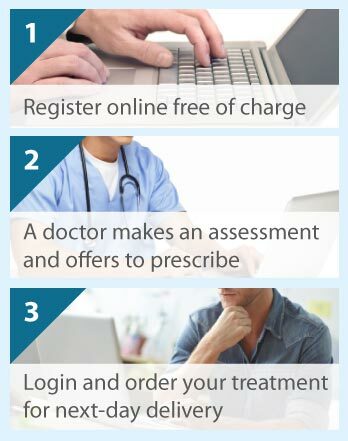 The Online Clinic can prescribe Pulmicort for you if you have used this medication before and you have your annual asthma check with your doctor. Please complete a quick online consultation form so that we can check that this inhaler is right for you. Next day delivery is available. Pulmicort is an oral inhalant that contains budesonide, a potent corticosteroid. Pulmicort is used to treat asthma. How does Pulmicort (budesonide) work? Budesonide works by reducing the inflammation caused by asthma in your airways and lungs. Specifically, budesonide acts by blocking the inflammatory substances released by the immune system. How is Pulmicort (budesonide) used to treat asthma? Budesonide is delivered via an inhaler which allows it to be absorbed directly into the inner linings of your airways and lungs. This helps to alleviate your symptoms of asthma such as excess mucus and shortness of breath, and stops asthma attacks from happening. What else is Pulmicort (budesonide) used to treat? Budenoside is also used to treat inflammatory bowel syndromes such as Crohn's disease and chronic diarrhoea due to collagenous colitis, and autoimmune hepatitis. The Online Clinic does not prescribe budesonide for these purposes. Are there any side effects of Pulmicort (budesonide)? The most common side effects are oral thrush, cough, hoarseness and throat irritation. Less common side effects include nervousness, restlessness and depression. Very few people get side effects of note and oral thrush can be avoided in many cases if you wash your mouth out with water after you have used the inhaler. Can anyone use Pulmicort (budesonide)? We only recommend using Pulmicort if it has been prescribed for you before in a face to face environment. You should use Pulmicort (budesonide) with caution if you are suffering from a cold or chest infection, have tuberculosis or any other bacterial, fungal or viral infections of the lungs and airways, or have a liver disorder. Please answer the questions on our medical consultation form truthfully and we can make sure that Pulmicort is still appropriate for you.